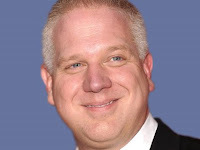 It was announced today that Glenn Beck's final show on Fox is scheduled for June 30th, a four week notice. As Mediaite and Media Matters for America has pointed out, the ratings for his show have declined in the last month by double figures. Unfortunately, the damage done to people's understanding of reality will take many years to undo. This departure of a liar, hypocrite, fraud and ignorant genius of reactionary, yellow propaganda has not come soon enough nor did Fox properly cut the head of the snake, i.e., suddenly. For four more weeks Glenn Beck will be able to promote Glenn Beck on a channel that has exposed itself during his stint there as a political operation unsuitable for the airwaves as a source of actual news. Even after Beck has departed, Fox will still be terrible for America. Roger Ailes and Rupert Murdoch will make sure of that. Update, 6/04/11: The following is a clip from The Ed Show on MSNBC. Guest host, Rev. Al Sharpton discusses Beck's time on Fox with Eric Boehlert, Senior Fellow from the liberal media watchdogs, Media Matters for America.